Bordetella pertussis is a Gram-negative, aerobic, pathogenic, encapsulated coccobacillus of the genus Bordetella , and the causative agent of pertussis or whooping cough. Unlike B. bronchiseptica , B. pertussis is not motile. Its virulence factors include pertussis toxin, filamentous hæmagglutinin, pertactin, fimbria, and tracheal cytotoxin. Guillaume de Baillou (1538–1616) was a French physician born in Paris. Jules Jean Baptiste Vincent Bordet was a Belgian immunologist and microbiologist. The bacterial genus Bordetella is named after him. The Nobel Prize in Physiology or Medicine was awarded to him in 1919 for his discoveries relating to immunity. Octave Gengou was a Belgian bacteriologist. He researched with Jules Bordet the Bordetella pertussis bacteria. B. pertussis infects its host by colonizing lung epithelial cells. The bacterium contains a surface protein, filamentous haemagglutinin adhesin, which binds to the sulfatides found on cilia of epithelial cells. Other adhesins are fimbriae and petractin. Once anchored, the bacterium produces tracheal cytotoxin, which stops the cilia from beating. This prevents the cilia from clearing debris from the lungs, so the body responds by sending the host into a coughing fit. These coughs expel some bacteria into the air, which are free to infect other hosts. The infection occurs mostly in children under the age of one when they are unimmunized, or children with faded immunity, normally around the ages 11 through 18. The signs and symptoms are similar to a common cold: runny nose, sneezing, mild cough, and low-grade fever. The patient becomes most contagious during the catarrhal stage of infection, normally two weeks after the coughing begins. It may become airborne when the person coughs, sneezes, or laughs. The paroxysmal cough precedes a crowing inspiratory sound characteristic of pertussis. After a spell, the patient might make a “whooping” sound when breathing in, or may vomit. Adults have milder symptoms, such as prolonged coughing without the “whoop”. Infants less than six months also may not have the typical whoop. A coughing spell may last a minute or more, producing cyanosis, apnoea, and seizures. However, when not in a coughing fit, the patient does not experience trouble breathing. This is because B. pertussis inhibits the immune response, so very little mucus is generated in the lungs. A prolonged cough may be irritating and sometimes a disabling cough may go undiagnosed in adults for many months. Several diagnostic tests are available, especially ELISA kits. These are designed to detect FHA and/or PT antibodies of IgG, IgA, or IgM. Some kits use a combination of antigens which lead to a higher sensitivity, but might also make the interpretation of the results harder, since one cannot know which antibody has been detected. The organism is oxidase positive, but urease, nitrate reductase, and citrate negative. It is also not motile. Adenylyl cyclase is an enzyme with key regulatory roles in essentially all cells. It is the most polyphyletic known enzyme: six distinct classes have been described, all catalyzing the same reaction but representing unrelated gene families with no known sequence or structural homology. The best known class of adenylyl cyclases is class III or AC-III. AC-III occurs widely in eukaryotes and has important roles in many human tissues. In medical terms, a booster dose is an extra administration of a vaccine after an earlier (prime) dose. After initial immunization, a booster injection or booster dose is a re-exposure to the immunizing antigen. It is intended to increase immunity against that antigen back to protective levels, after memory against that antigen has declined through time. For example, tetanus shot boosters are often recommended every 10 years, after which memory cells specific against tetanus have lost their function or undergone apoptosis. Bordetella parapertussis is a small Gram-negative bacterium of the genus Bordetella that is adapted to colonise the mammalian respiratory tract. Pertussis caused by B. parapertussis manifests with similar symptoms to B. pertussis-derived disease, but in general tends to be less severe. Immunity derived from B. pertussis does not protect against infection by B. parapertussis, however, because the O-antigen is found only on B. parapertussis. This antigen protects B. parapertussis against antibodies specific to B. pertussis, so the bacteria are free to colonize the host's lungs without being subject to attack by previous antibodies. These findings suggest B. parapertussis evolved in a host population that had already developed immunity to B. pertussis, where being able to evade B. pertussis immunity was an advantage. Bordet-Gengou agar is a type of agar plate optimized to isolate Bordetella, containing blood, potato extract, and glycerol, with an antibiotic such as cephalexin or penicillin and sometimes nicotinamide. The potato extract provided nitrogen and vitamins, and potato starch absorbed fatty acids present in nasal secretions or collection-swab cotton that inhibited growth; glycerol was a carbon source. Medical Microbiology, 4th edition states that Regan-Lowe medium has replaced Bordet-Gengou medium as the medium of choice for routine Bordetella pertussis incubation. Bifunctional hemolysin/adenylate cyclase is a protein that in B. pertussis is encoded by the cyaA gene. This protein in turn is cleaved into a calmodulin-sensitive adenylate cyclase (cyaA–ACD) and hemolysin. Both are virulence factors facilitating respiratory tract colonization by B. pertussis. The cyaA–ACD binds to a M2 integrin cell surface receptor and inserts its N-terminal adenylyl cyclase domain into the cytosol. After binding to calmodulin, cyaA–ACD catalyzes the cyclization of AMP into cAMP. This catalysis raises the intracellular concentration of cAMP to toxic levels. 1 2 3 4 Organization., Organisation mondiale de la santé. World Health (1998). Relevé épidémiologique hebdomadaire (Online) = Weekly epidemiological record. Organisation mondiale de la sante. OCLC 301147153. ↑ Parkhill J, et al. (2003). "Comparative analysis of the genome sequences of Bordetella pertussis, Bordetella parapertussis and Bordetella bronchiseptica". Nature Genetics. 35 (1): 32–40. doi:10.1038/ng1227. PMID 12910271. 1 2 3 4 5 Bordetella : molecular microbiology. Locht, Camille. Wymondham: Horizon Bioscience. 2007. ISBN 9781904933311. OCLC 159579443. ↑ Rosenberg, Eugene; DeLong, Edward F.; Lory, Stephen; Stackebrandt, Erko; Thompson, Fabiano, eds. (2013). The Prokaryotes. Berlin, Heidelberg: Springer Berlin Heidelberg. doi:10.1007/978-3-642-30144-5. ISBN 9783642301438. ↑ "Whooping Cough (Pertussis)". HPA. Retrieved 2009-04-12. 1 2 Carbonetti, Nicholas H (2007-06-01). "Immunomodulation in the pathogenesis of Bordetella pertussis infection and disease". Current Opinion in Pharmacology. 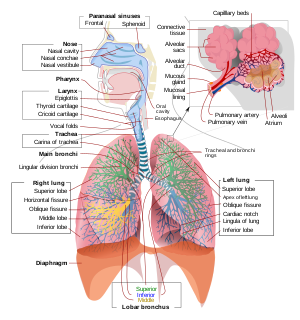 Respiratory/Musculoskeletal. 7 (3): 272–278. doi:10.1016/j.coph.2006.12.004. ISSN 1471-4892. PMID 17418639. ↑ Sebo, Peter; Osicka, Radim; Masin, Jiri (2014-08-04). "Adenylate cyclase toxin-hemolysin relevance for pertussis vaccines". Expert Review of Vaccines. 13 (10): 1215–1227. doi:10.1586/14760584.2014.944900. ISSN 1476-0584. ↑ Sealey, Katie L.; Belcher, Thomas; Preston, Andrew (2016-06-01). "Bordetella pertussis epidemiology and evolution in the light of pertussis resurgence". Infection, Genetics and Evolution. 40: 136–143. doi:10.1016/j.meegid.2016.02.032. ISSN 1567-1348. PMID 26932577. ↑ Inaba, I. (1912). "Über den Bordet-Gengouschen Keuchhustenbacillus Übertragungsversuches des Keuchenhustens auf Tiere". Zeitschrift für Kinderheilkunde. 4 (1): 252–264. doi:10.1007/BF02088879. ↑ Bachamn, W.; Burghard, E. (1925). "Der Nachweis der Bordet–Gengouschen Bacillen und ihre ätiologische Bedeutung für den Keuchenhusten". Zeitschrift für Kinderheilkunde. 39 (5): 465–483. doi:10.1007/BF02225286. ↑ Shibley GS, Hoelscher H (1934). "Studies on whooping cough. I. Type-specific (S) and dissociation (R) forms of Hemophilus pertussis". Journal of Experimental Medicine. 60 (4): 403–18. doi:10.1084/jem.60.4.403. PMC 2132401 . PMID 19870311. ↑ Gustavsson OE, Röken BO, Serrander R (1990). "An epizootic of whooping cough among chimpanzees in a zoo". Folia Primatologica. 55 (1): 45–50. doi:10.1159/000156498. PMID 2394416. ↑ Warfel JM, Merkel TJ (2014). "The baboon model of pertussis: effective use and lessons for pertussis vaccines". Expert Review of Vaccines. 13 (10): 1241–52. doi:10.1586/14760584.2014.946016. PMID 25182980. ↑ Kingdon, Jonathan; Happold, David; Butynski, Thomas (2013). Primates. Mammals of Africa. 2. A&C Black. p. 51. ISBN 978-1-4081-8996-2. ↑ Loomis, M.R. (1985). "Immunoprofylaxis in infant great apes". In Graham, C.E. ; Bowen, J.A. Clinical management of infant great apes: proceedings of a workshop on clinical management of infant great apes, held during the IXth Congress of the International Primatological Society. Monographs in Primatology. 5. Liss. pp. 107–112. ISBN 978-0845134047. ↑ Nieves DJ, Heininger U (2016). Bordetella pertussis. Microbiology Spectrum. 4. pp. 311–339. doi:10.1128/microbiolspec.EI10-0008-2015. ISBN 9781555819446. PMID 27337481. Ray, C.G., ed. (2004). Sherris Medical Microbiology (4th ed.). McGraw Hill. ISBN 978-0-8385-8529-0. Todar, K. (2008). "Bordetella pertussis and Whooping Cough". Online Textbook of Bacteriology. Retrieved December 11, 2009. "Pertussis". Immunization, Vaccines and Biologicals. World Health Organisation. Finger, Horst; von Koenig, C.H.W. (1996). "Ch. 31 Bordetella". In Baron, S. Medical Microbiology (4th ed.). University of Texas Medical Branch. ISBN 978-0-9631172-1-2. NBK7813. "Bordetella pertussis". ARUP Consult—The Physician's Guide to Laboratory Test Selection and Interpretation. Archived from the original on 2006-11-03. Retrieved 2007-01-30. "Pertussis". United Kingdom Health Protection Agency. Centers for Disease Control and Prevention (2015). "Pertussis". In Atkinson, W.; Wolfe, S.; Hamborsky, J. Epidemiology and Prevention of Vaccine-Preventable Diseases: The Pink Book (13th ed.). Public Health Foundation.